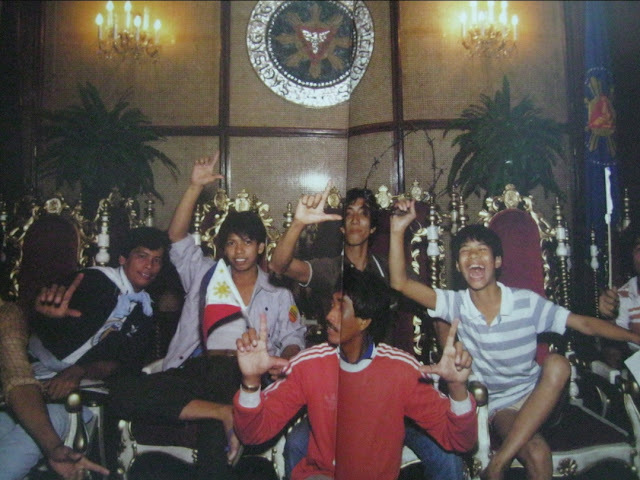 Critics of Philippine President Rodrigo Duterte who have trained their crosshairs on easy target Isabelle Duterte should check out this photo of early Yellowtards "disrespecting" the seal of the President of the Philippines. Herein is exhibit the inconsistency inherent in a focus not just on people but on partisanism rather than bigger over-arching issues of national consequence. Sooner or later, one factoid or another emerged that easily discredits the superficial position petty "activism" encourages its players to take just to one-up the other. In the case of this incriminating photo, the argument is quite straightforward. Yellowtards disrespected the Philippines' presidential seal first. You make me laugh. It's not about who did something first. Doing something that is wrong after someone who has done it first just proves the idiocy of someone. You see something done wrong. *still follows it. You're just emphasizing your inability to learn. If you see something worth criticizing, make an action against it. Not similar to it. Typical idiot accusing the author as a DDS only because he's a loser who can't make better arguments. Cry some more drama queen!